Adorable Ranch Bungalow! 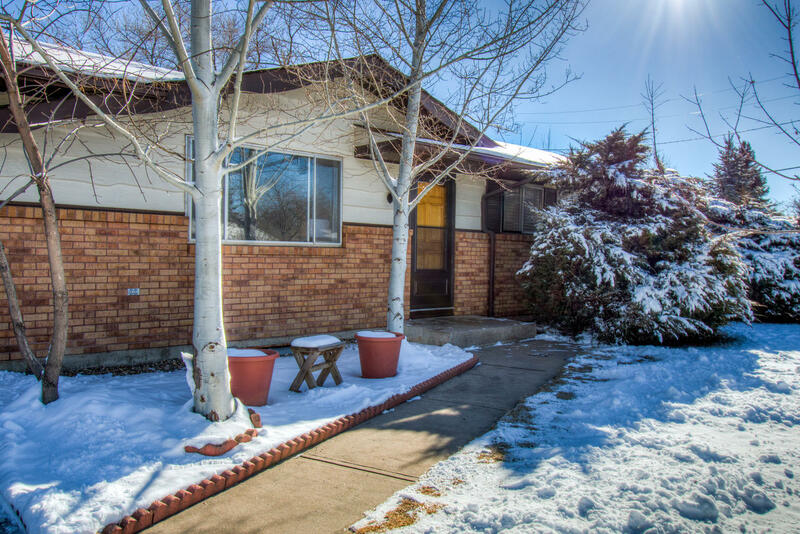 Warm and inviting -Open concept- beautifully remodeled/clean-and move in ready! *Loaded with Great features! Mountain views/west facing, finished basement (with tons of storage.) 5 Bedrooms (2 up and 3 down) and 2 Bathrooms, nearly 1,900 finished square feet! Spacious fully fenced yard and 7,405 SQFT lot, complete with an expansive back patio and convenient utility shed! 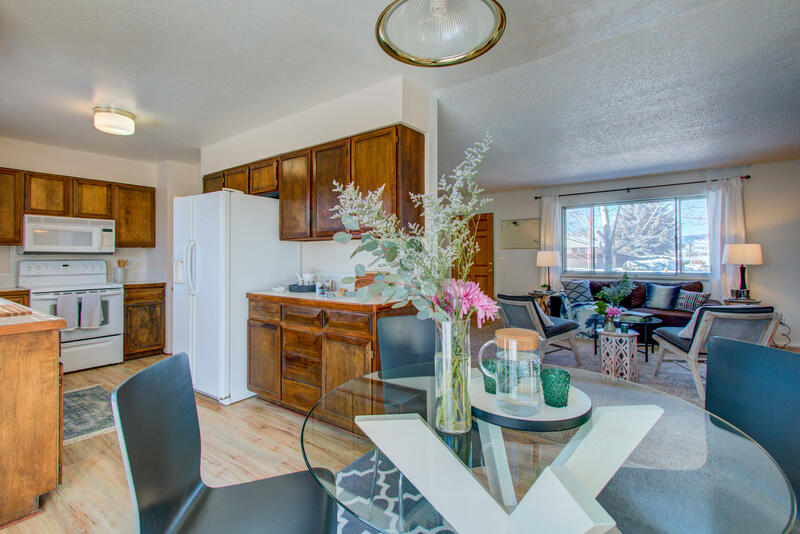 NEW: carpet, paint, faucets, garage door opener, blinds, cabinetry in the bathrooms, convenient low maintenance wood laminate floors, 2 wood burning fireplaces (brick & flagstone), newer furnace and central A/C, BIG Master Bedroom Suite! Excellent income property or first time buyers! AND…. Includes a First American Home Warranty! Super convenient location and Oversized garage, and more parking on north side on paved driveway and gravel driveway! Some bedrooms do not conform, large living areas on each floor and Cute as a Button! 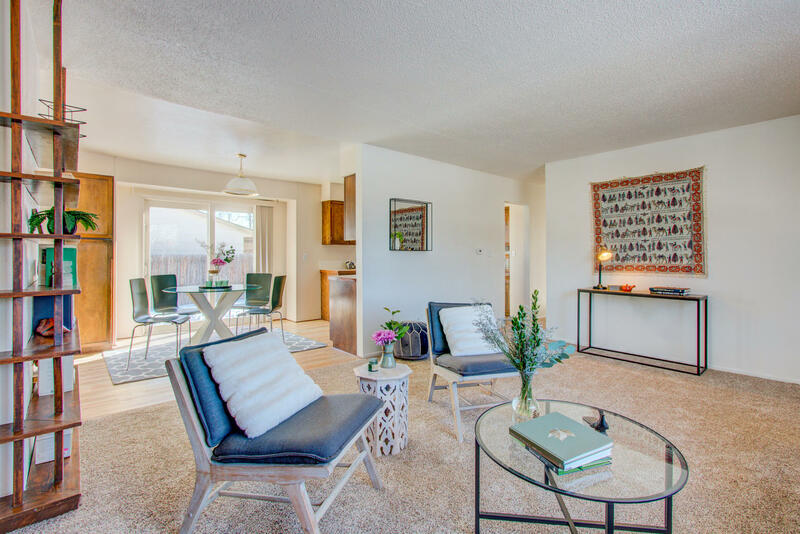 - move-in ready with wonderful mountain views to the west and super convenient to everything off 14th and for commuting further south. Excellent investment property* Remodeled and move in ready. Cozy real wood fireplaces on each level, newer furnace and central A/C 2010 and ducts blown in 2017 and comes with a home warranty! Hard to find property for the price! & NO HOA!